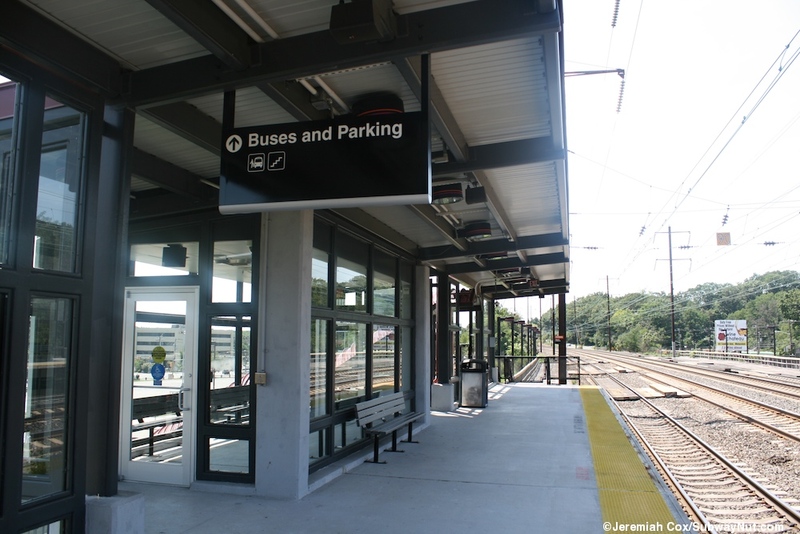 Metropark Station was proposed and built by the state of New Jersey to be a new suburban train station to serve car commuters. It is located right off of Exit 131 on the Garden State Parkway in unincorporated Islin, New Jersey part of Woodbridge Township. 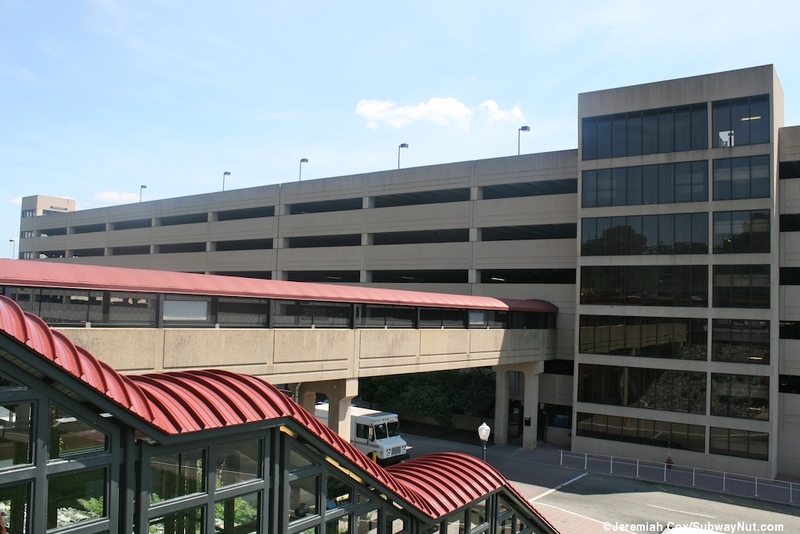 The station serves both huge parking garages with over 3,500 paid parking spaces (these were originally in surface lots) and suburban office parks. 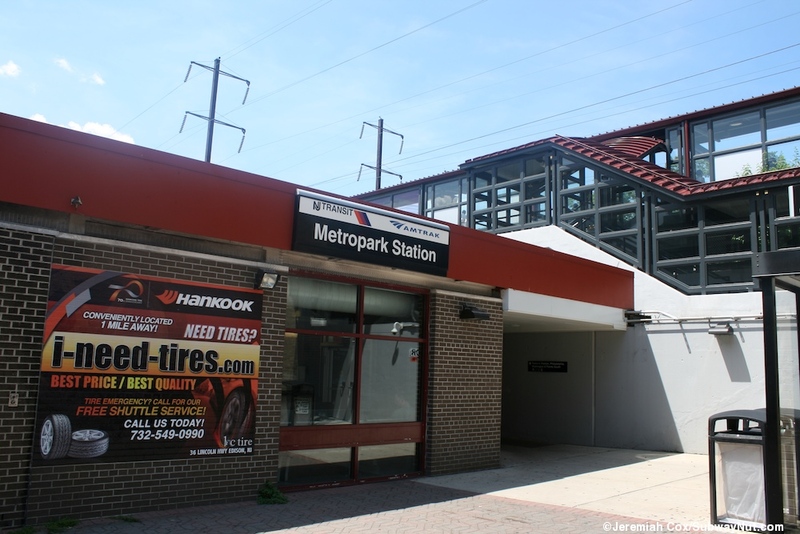 NJT runs 5 special Metropark Loops 800-series bus routes during commute hours to serve them. 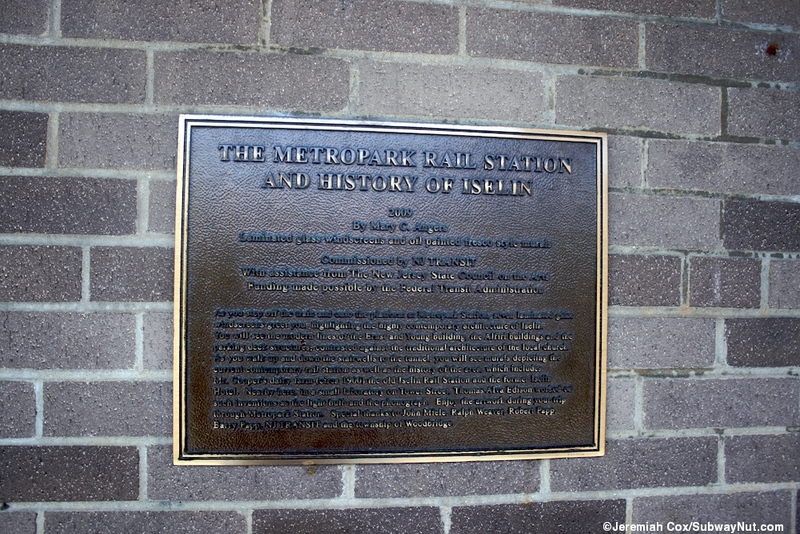 The stop was opened by Amtrak in November 1971. 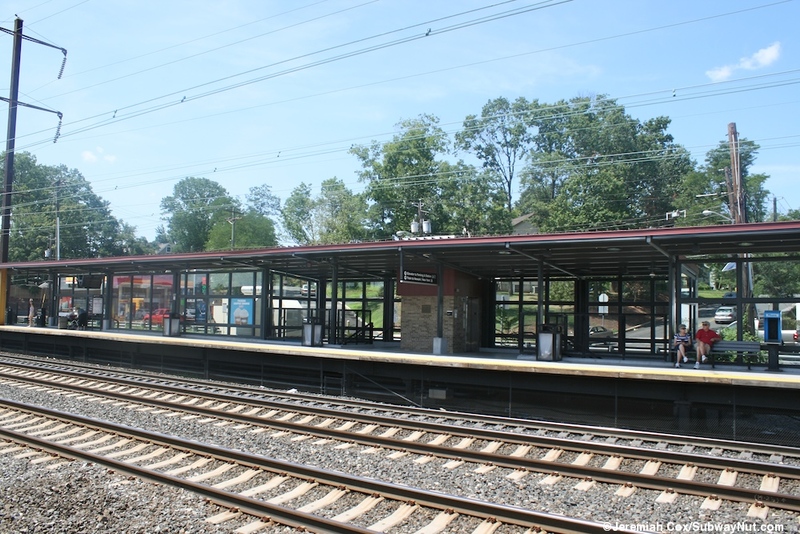 In 1972 the PennCentral commuter service joined Amtrak at the station closing the nearby Islen and Colonia Stations. 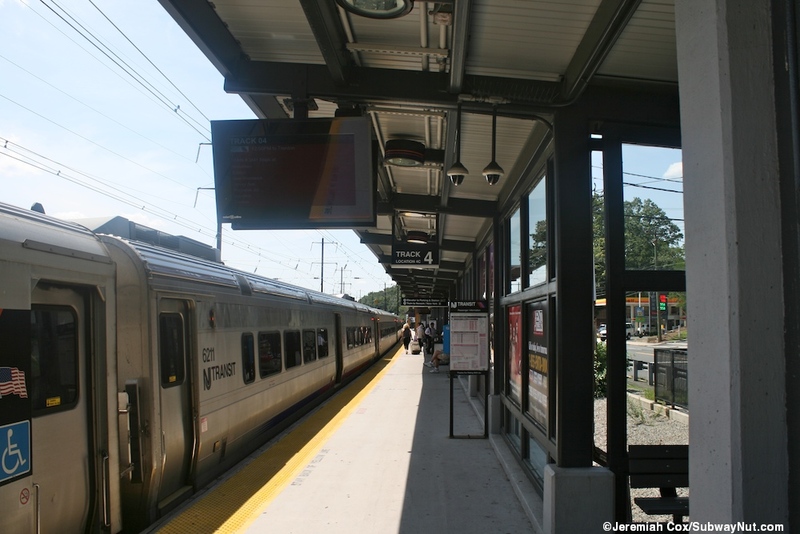 Commuter train service to the station is from New Jersey Transit's Northeast Corridor line that provides about two trains per hour. 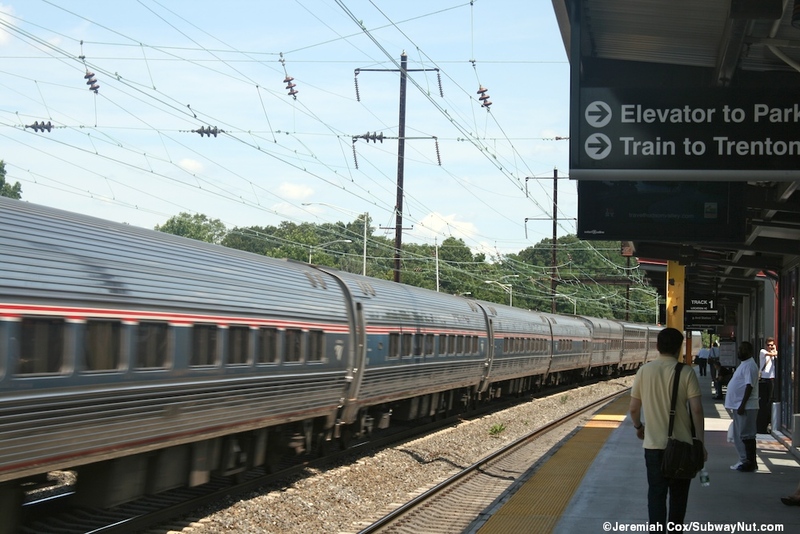 Intercity Amtrak service is mostly from Northeast Regionals with most trains stopping at the station. 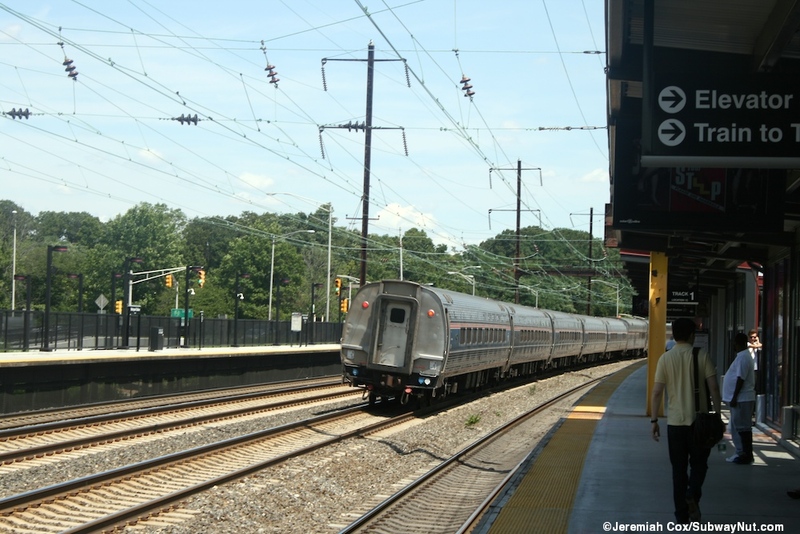 All weekend Acela trains stop and weekday Acelas do at strategic times for Washington-bound travelers: Southbound in the morning and northbound in the afternoon-evening. The Vermonter stops on weekends only. 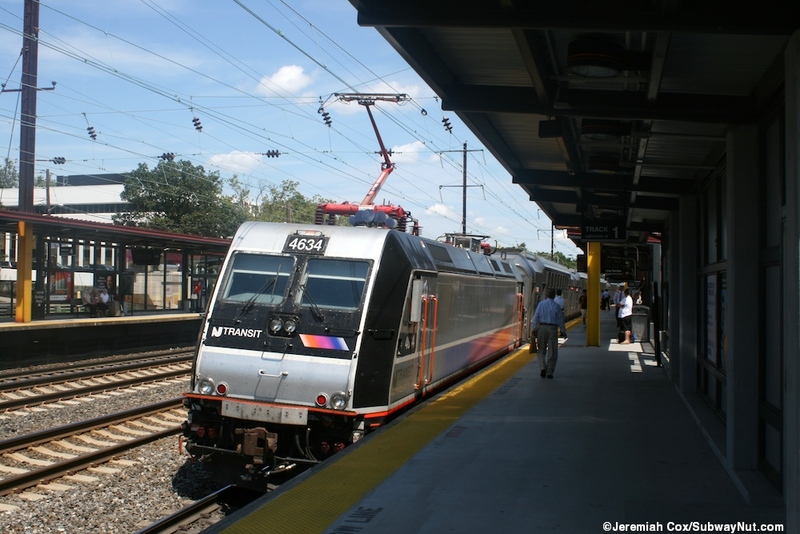 Keystone service is only provided in the southbound direction by one northbound train weekdays #652 during the PM rush hour and the last vestiges of the Clockers, Southbound Trains #639 (weekdays) and #637 (sundays) which stop around midnight running from New York to Philadelphia only. 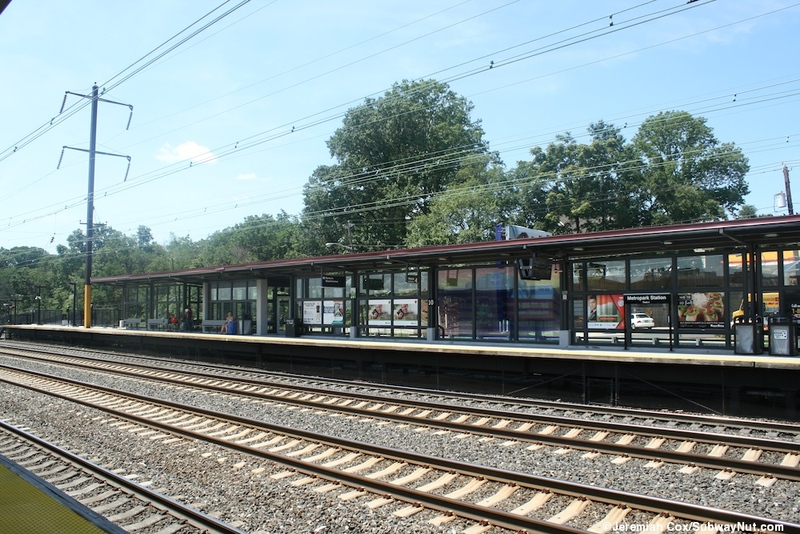 The station is located on a slight embankment and has two side platforms that can hold10 cars along the four track Northeast Corridor Mainline. 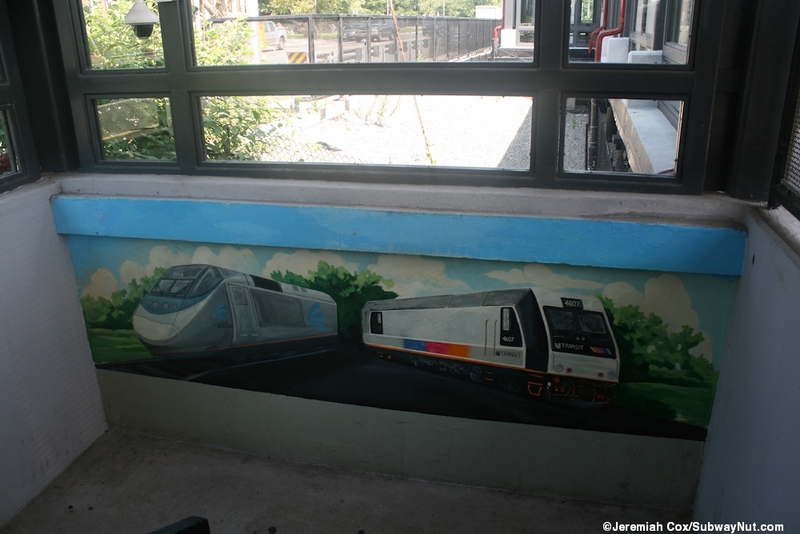 These were renovated by New Jersey Transit from 2007 to 2009 giving them a modern look. The platforms have black canopies with full height glass windscreens behind them. 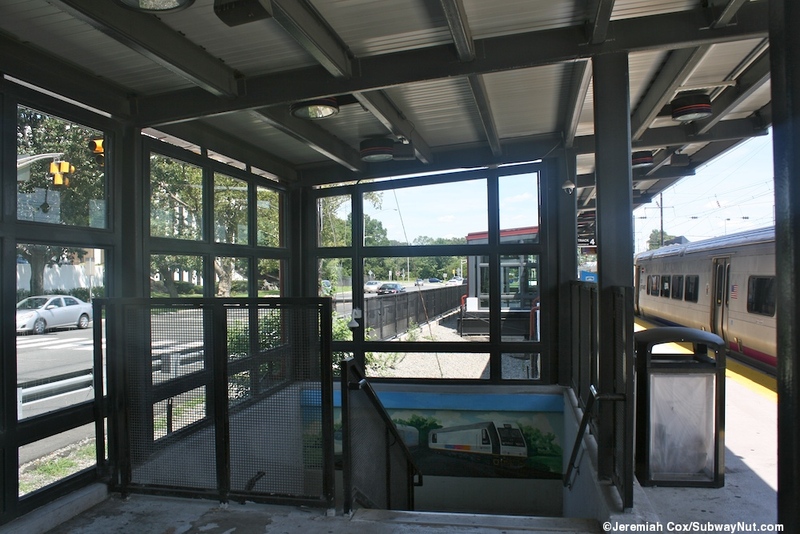 There are also a few fully enclosed (with doors and benches) waiting areas along both platforms. 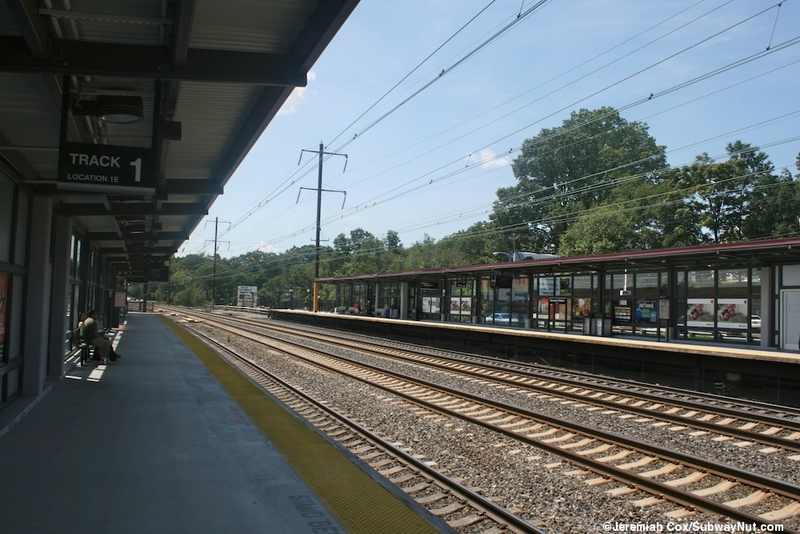 The entire length of the New York-bound platform (track 1) along with only the southern half of the Trenton-bound platform (track 4) is covered. At the southern end of the platforms are the closed off wooden low-level platforms in case of construction with three crossings out to boarding positions for the middle express tracks. 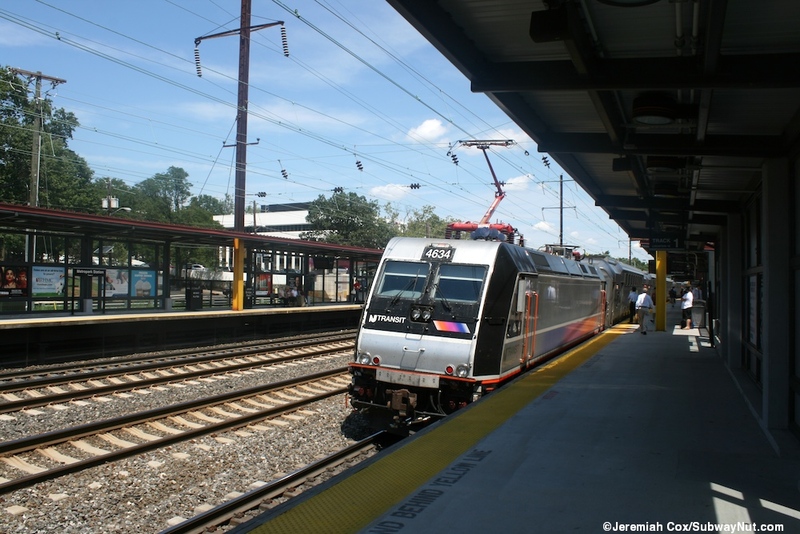 All of the station lampposts are black with little bands of NJ Transit's colors: Blue, Purple, and Orange running in circular bands along the top of the lamp.To show the stations nearby access to highways just beyond the northern (Newark-bound) end of he platforms is the overpass over the Garden State Parkway. The northern ends of both platforms have emergency exits that lead almost onto the parkway. The station house is along the access road, beneath the platforms, about a third of the way from the southern end of the platform (just north of the bus bays) it is a brick single story building with a flat roof. 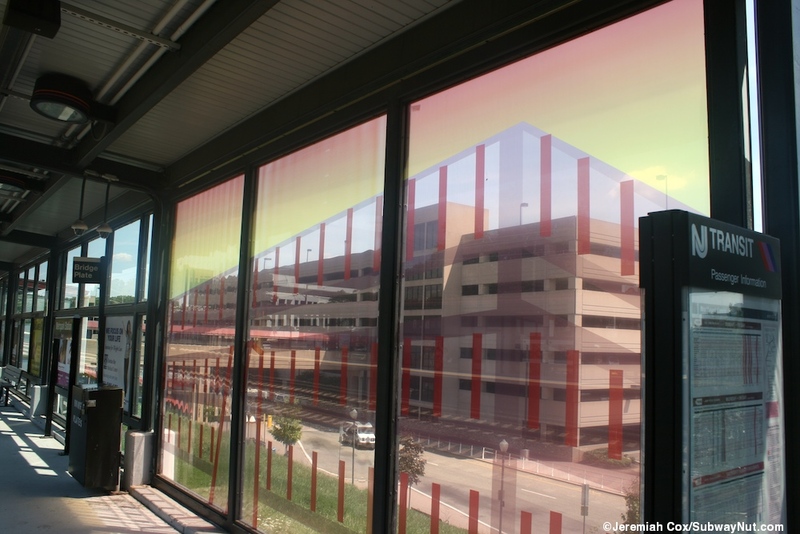 Inside are three ticket windows, staffed by NJT employees that sell both New Jersey Transit and Amtrak tickets. There are some modern benches for waiting passengers, a Quik-Trak machine and across from each other two concessions: Faber News Now and Faber Coffee Now. There are no NJT ticket machines inside. these are all outside the station just north of it. Right outside is also the elevator shaft up to the New York-bound platform, it has been designed to look like a clock tower with a clock on top. 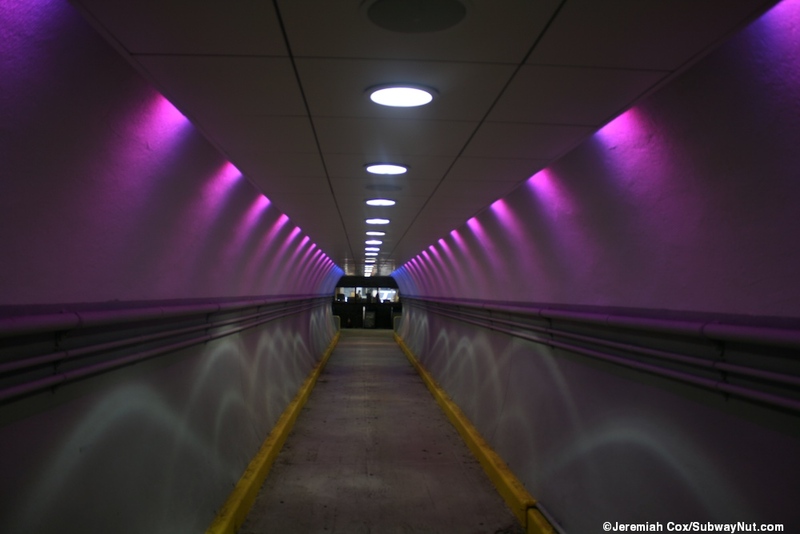 Directly behind the station house is the one pedestrian tunnel between the New York and Trenton-bound platforms. It is designed to look more interesting with a bit of an LED light show. At the other end are two staircases up to the Trenton bound platform. 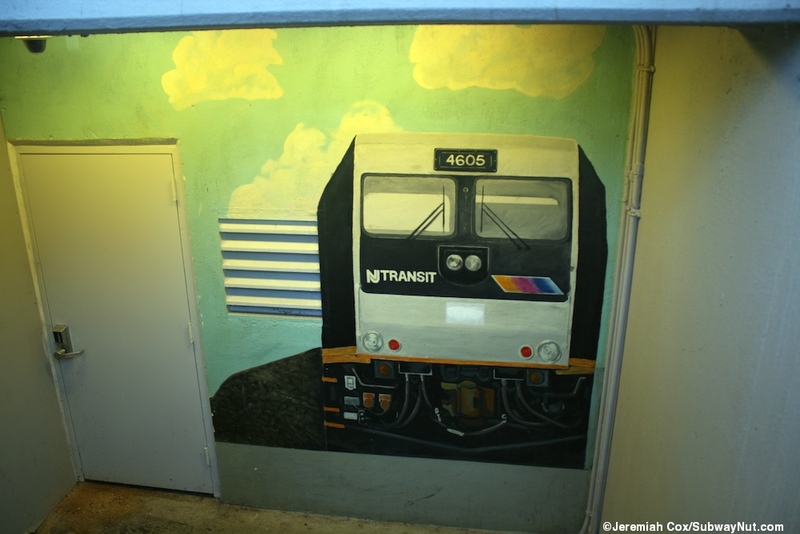 On these stairwells is "Metropark Rail Station and History of Iselin" by Mary C. Angers along the concrete walls. 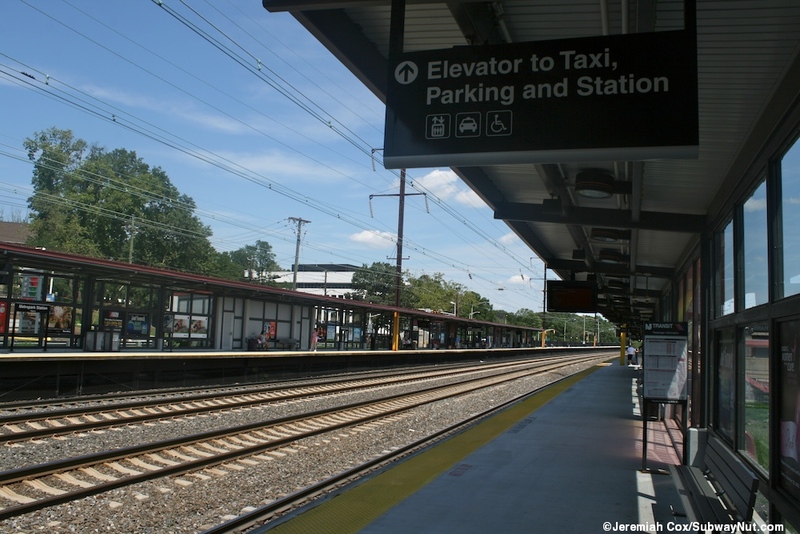 The Trenton-bound platform has two more station entrances from nearby streets, although it is directly parallel to the Lincoln Highway (NJ-27) this street lacks a sidewalk along the platform. 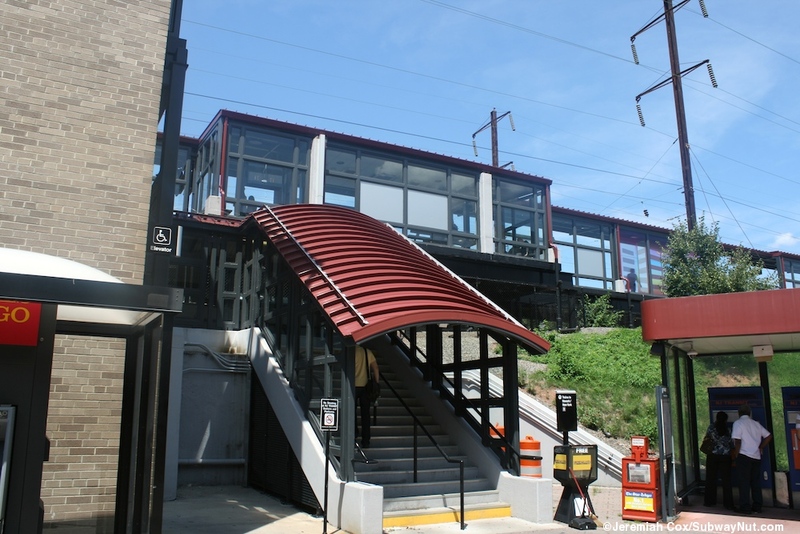 At the southern end a long ramp descends from the platform and becomes a sidewalk down to the Wood Avenue underpass. There is a ramp down from the northern end of the platform to a short section of sidewalk to an intersection with a traffic light at Magnolia Road and the Lincoln Highway.